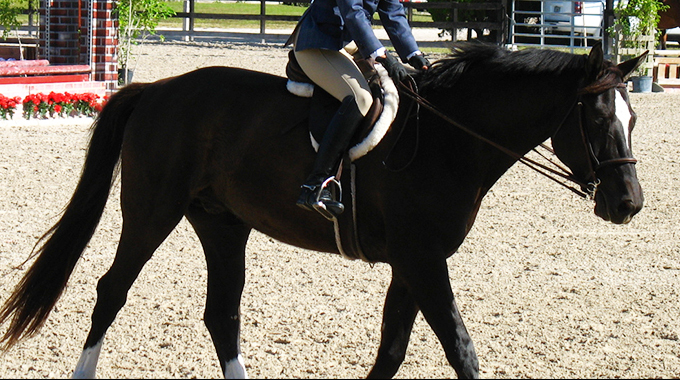 I have a 7 year old thoroughbred gelding who is in training with a very good hunter trainer. He is just coming off a 6 month layup after injuring his superficial digital flexor tendon and we are taking it very slow. Before he was injured, we were just starting to introduce lead changes and only when we were jumping. It seems that the people who owned him before me tried to do lead changes with him as a 4 year old and got him very worried about changes. Once I bought him it took almost a year of mostly trotting to get him to relax and accept leg contact, but once we started cantering he kept swapping his lead when we were going to the left. I would bring him back to a walk and just ask for the right lead again. He even swapped on a circle. Eventually with a lot of patience, he stopped swapping and last year we were able to show him over small courses and, as I said, we were just getting ready to introduce some lead changes when he got injured. He is sound now and our vet has cleared him to go back to work. He has been in work for about 3 months, which we built up to gradually. We are just now starting to do light jumping and want to show him this spring. About 2 weeks ago he started the lead swapping again. He swaps the lead with me and my trainer riding but she is able to keep him from swapping better than I can by using her inside leg and bending him to the inside. To add more to the equation, when I canter to the left I have a harder time holding my position and feel stiff and crooked. I am sure he feels it too since he is so sensitive. So my question to you is: are there any exercises you can give me that will help me fix my canter to the left, and what do you suggest we do about the lead swapping? I have been doing a lot of 2-point and my trainer says my position has improved to the left, but why do you think he suddenly started swapping again? Thanks for your help! 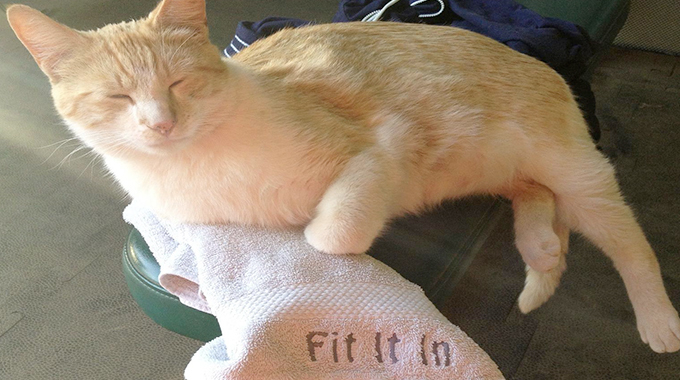 This sounds like an old habit your horse has that is repeating itself now. 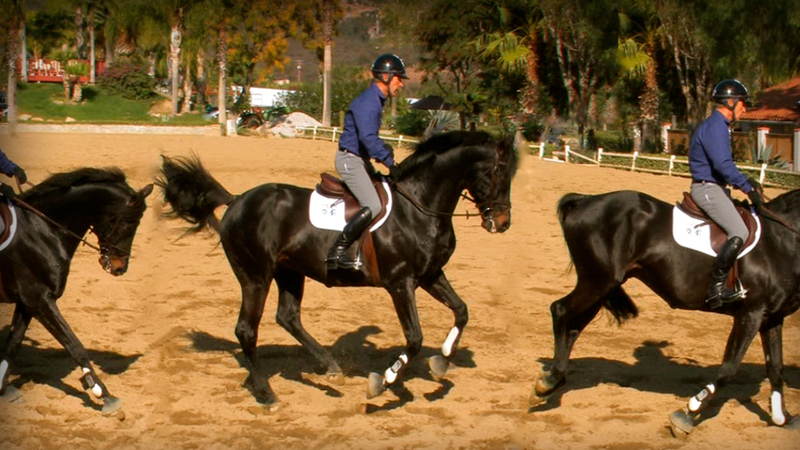 Suggesting exercises that will “fix your canter position to the left” will be difficult without seeing a video of your riding. However I can point you to the topics on Equestriancoach.com titled “Building Blocks To A Great Position” parts 1-4. In these topics you will see exercises that will help you develop your position which should over time take care of your left canter issue. Growing up with all TB horses, I have had quite a few sensitive ones, especially to the leg aids. Some of the more sensitive ones just have a hard time tolerating even minor leg pressure and thus we often tend to appease them by riding with little to no leg. That said, if that’s the case, your horse will be missing the proper leg aids that indicate what lead he is to keep. For example on the circle to the left your horse is slightly bent to the left, left leg at the girth and the right leg slightly behind the girth, with some degree of pressure. If he objects to the pressure of the right leg then he is missing an important aid and free to switch if he has that habit. That said, over time, if he will accept slightly more leg pressure (without spur of course) of the proper leg aids, you will be able to indicate more clearly to him what lead is desired. 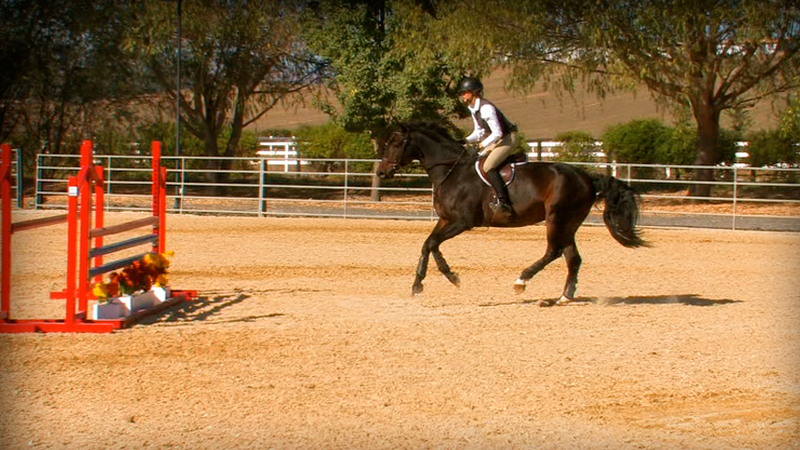 Use the same aids (position) for canter departure and it would be an enormous help if you could practice the counter canter, especially going to the right and maintaining the left lead. Make sure your aids are correct. To the right on the left lead the horse is positioned (bent) slightly to the left, your left leg is at the girth and your right leg is slightly behind the girth maintaining a little pressure. 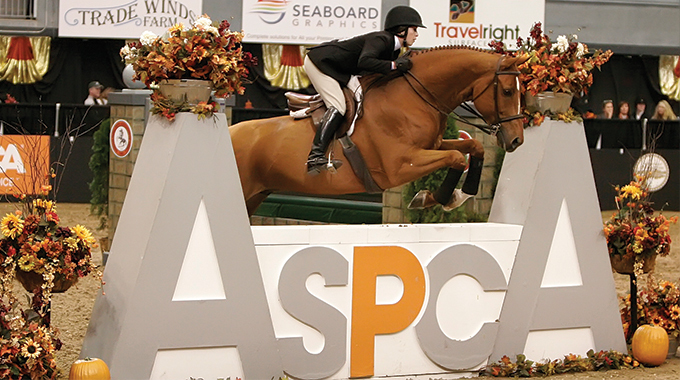 The more your horse will accept some degree of leg and understand the proper and distinct leg positions for maintaining the leads, canter departures, and counter canter, along with proper bend, the more success you should have preventing the swap. With a sensitive horse this may take some time but obviously will be worth it.